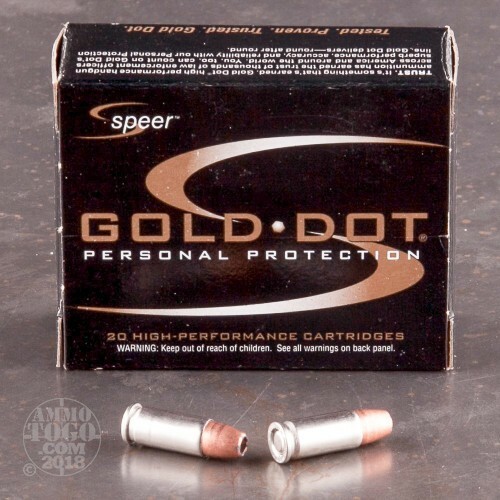 This cartridge by Speer features a Gold Dot projectile, the same bullet preferred by countless law enforcement professionals throughout the country. 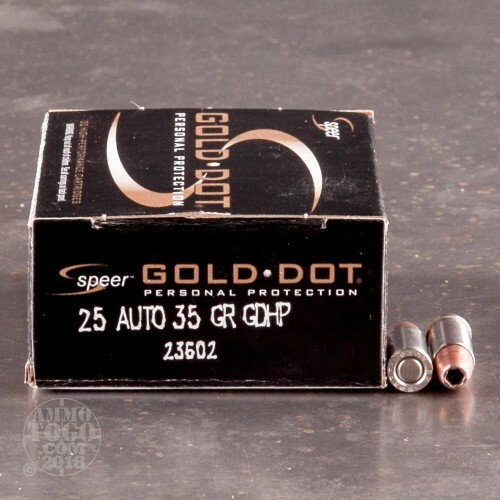 While you’re unlikely to spot a cop carrying a 25 Auto, at least as their primary weapon, this little round’s performance for self-defense is benefited greatly by its 35 grain Gold Dot projectile. 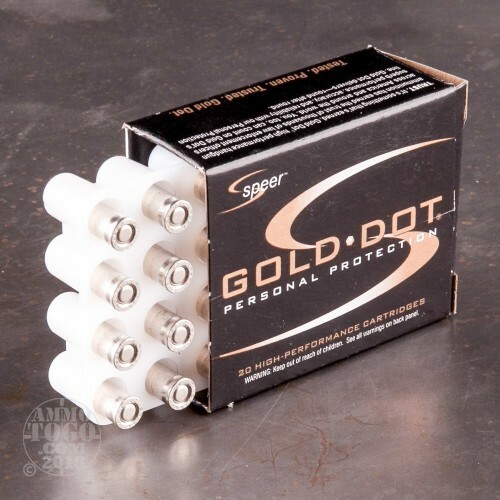 The Gold Dot’s jacket is applied to its core via Speer’s electrochemical Uni-Cor process. As the jacket is created one single molecule at a time, it is thoroughly concentric to promote accurate flight, and as it’s furthermore virtually inseparable from its core the Gold Dot exhibits excellent weight retention. The Gold Dot’s hollow point nose cavity is formed over the course of a two stage process in order to ensure that it expands to the optimal width and at the optimal rate during penetration. This round’s bullet isn’t the sole source of its reliability. 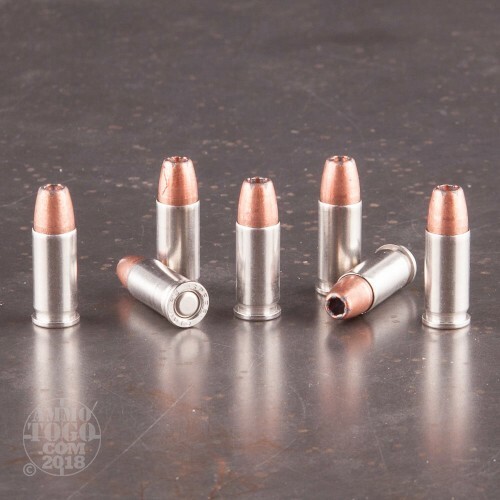 Its CCI primer is very responsive, and its brass casing is nickel plated to protect it from corrosion and facilitate feeding and ejection in your semi-automatic everyday carry. In stock and shipped super quick!! definitely will be using these guys again! !